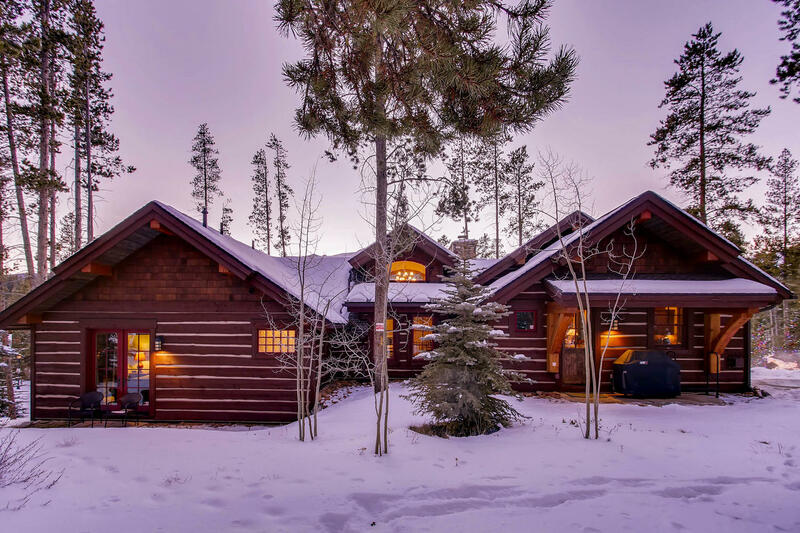 Luxury Lodge with Easy Walk to Main Street! 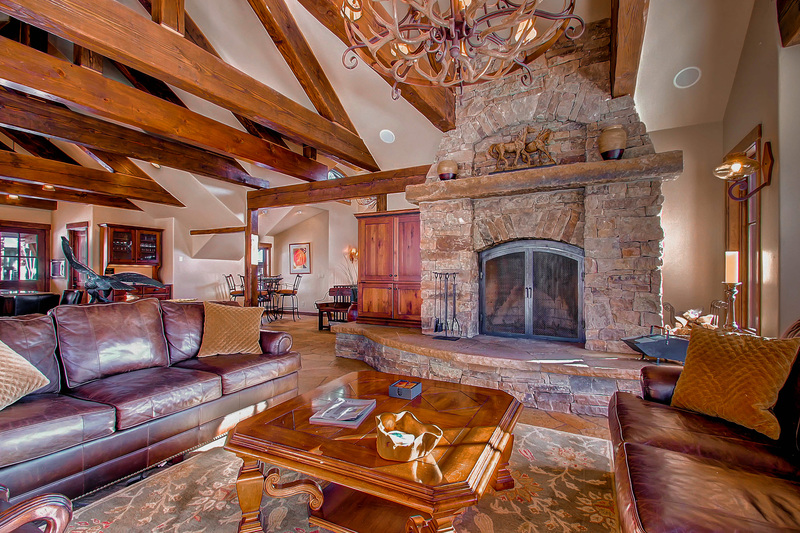 Rustic Timber Lodge is beautifully situated on a hillside in the exclusive Sunbeam Estates neighborhood. 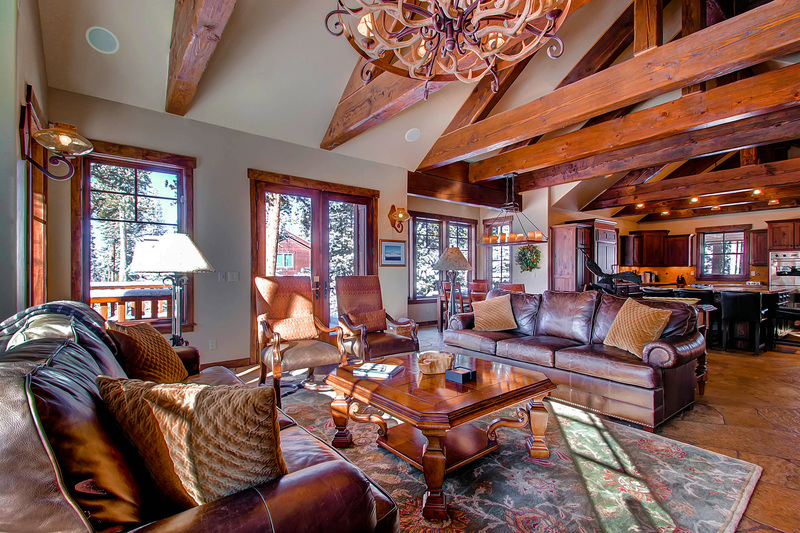 Watch western sunsets over the Breckenridge ski mountains from the decks, patios and great room. 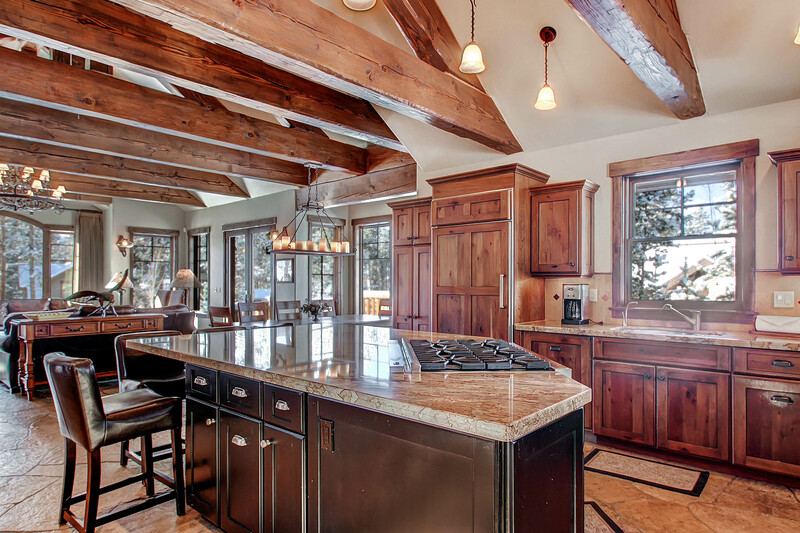 Views and windows encompass the whole west side of this post and beam custom built home. 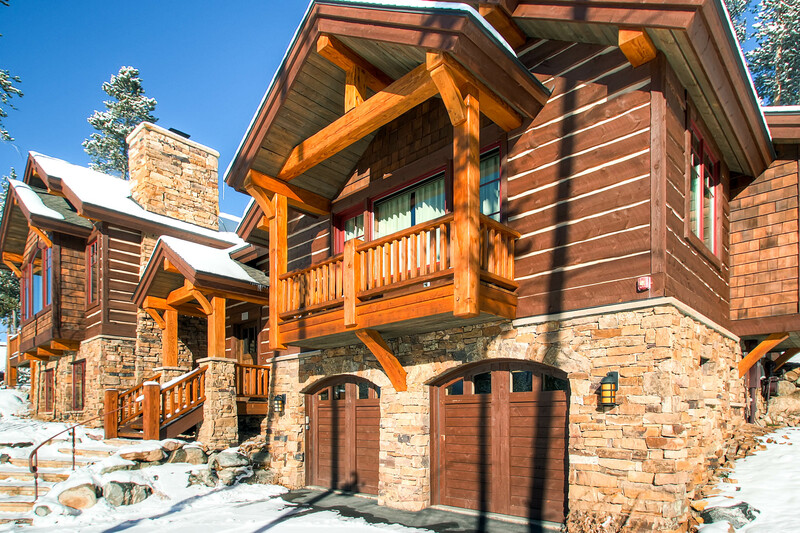 Paragon Lodging in Breckenridge Colorado is the SOLE authorized Property Manager and Rental Agent for Rustic Timber Lodge. Paragon Lodging enforces an age policy of 25 years old. Families with children are welcome. We regret, we do not accept college groups. Enter your dates above for an exact quote. Pricing subject to change. 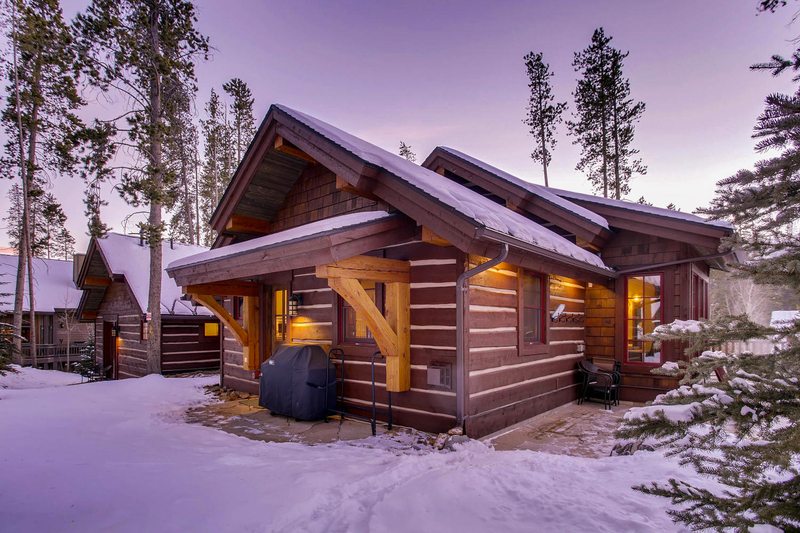 Rustic Timber Lodge - The Perfect family getaway! 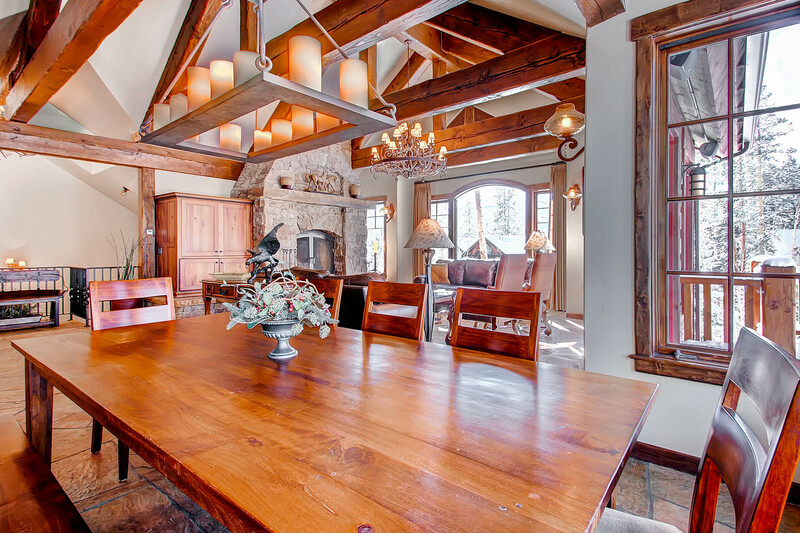 Rustic Timber Lodge was an amazing home - perfect for our multi-generational family get together! The staff was friendly and helpful during our check-in. 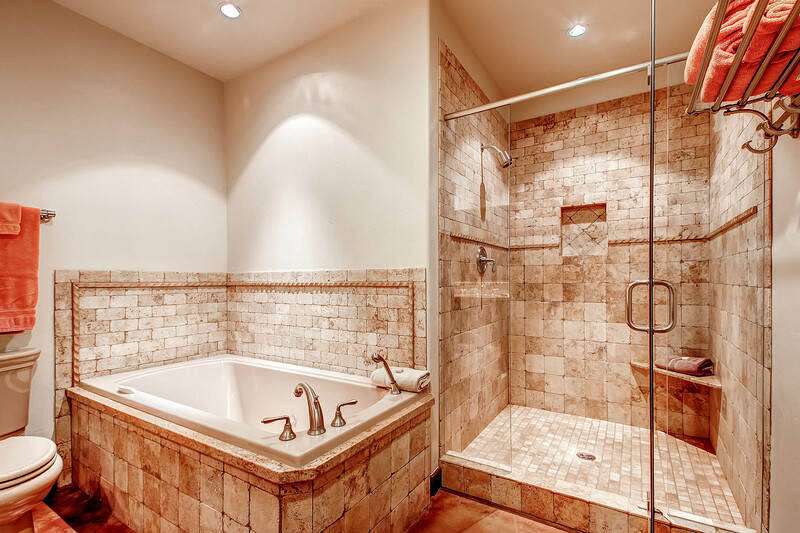 Great, fully stocked kitchen, comfortable beds, and spacious bathrooms. 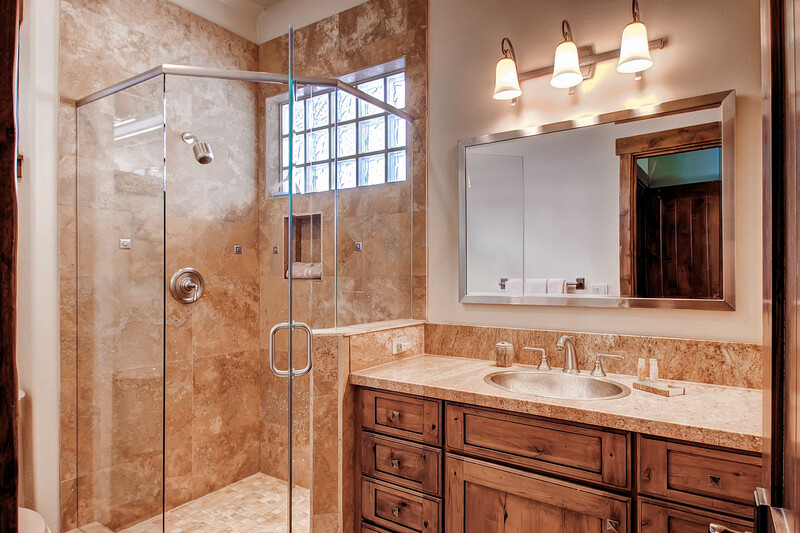 The location is close to town, but yet private. We will definitely be back! We stayed again with Paragon Lodging. We have been renting with Paragon for 20 years and have never experienced a problem. 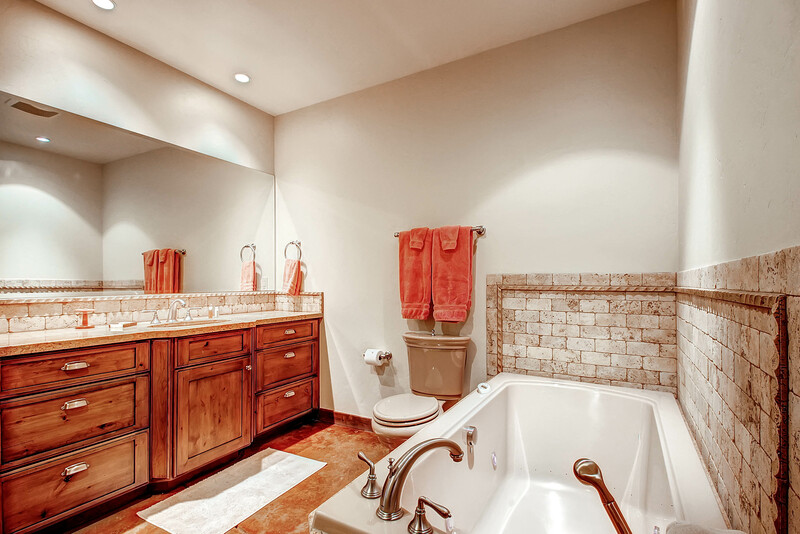 The homes are well appointed, beautiful and clean. We highly recommend Paragon and their friendly staff. 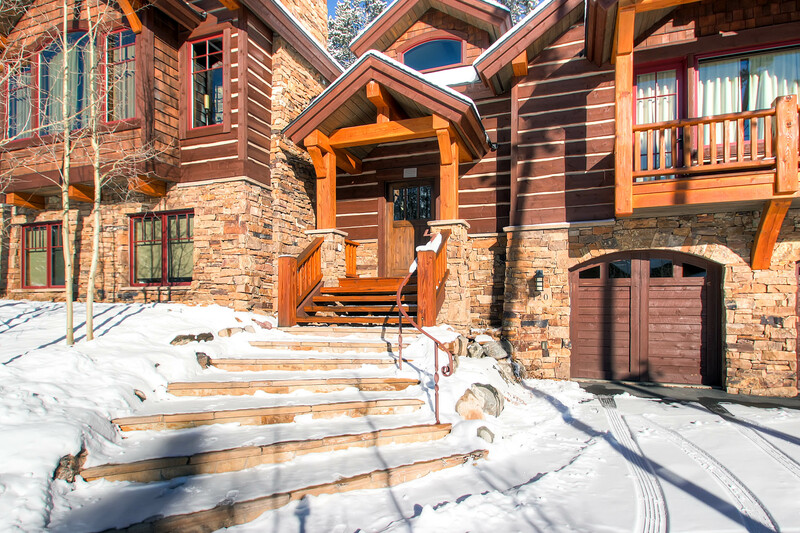 Eight of us enjoyed this beautiful property while skiing Breckenridge. The house was very comfortable, with great beds, down pillows, and heated floors for the cold mornings. 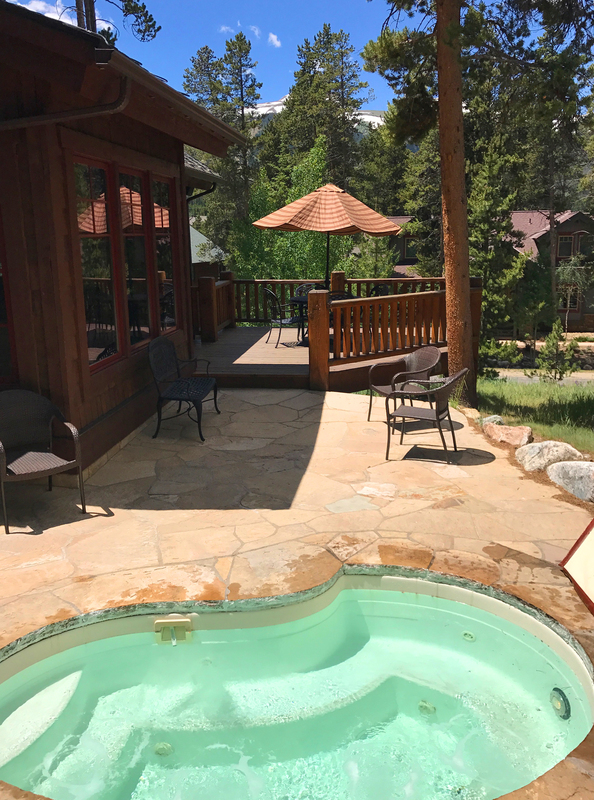 The hot tub was enjoyed by all, and the kitchen had all we needed to prepare and enjoy family meals. It was less than a 5 minute drive to drop off kids at the ski school, so very convenient, without the congestion of being in a condo. The team at Paragon were great to work with. Thank you, Lyle - we're happy to hear that you had a nice time! We hope to see you again soon! Perfect in every way. Pristine condition. Comfortable beds. 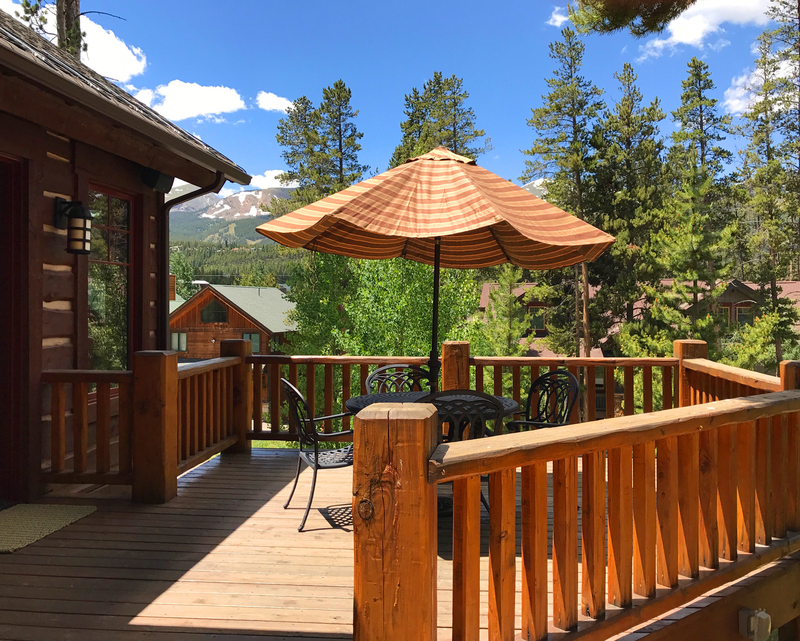 Handy location to the wonderful village of Breckenridge. Enjoyed the hot tub. Saw the fox daily. Fires in the massive fireplace were tremendous. So much fun. Only warning would be that it’s a split foyer with lots of steps. Not recommended for those with physical disabilities. Paragon was overly attentive to 2 issues we had. Garage door and toilet. Someone was there within minutes taking care of it. The value for what we paid and what we experienced we’re spot on. Excellent. Extremely nice home that is well and tastefully furnished. Excellent location near park and town. 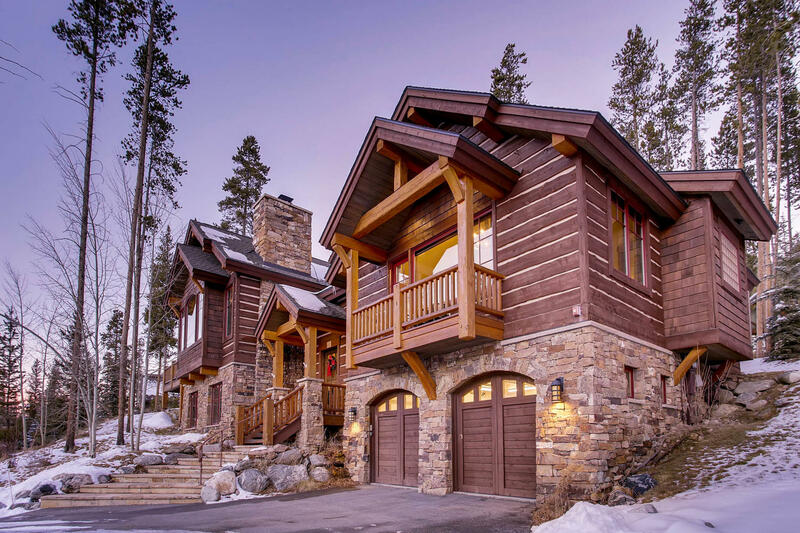 Beautiful home and beautiful location!! We loved it so much we stayed 3 extra days! I'm bound and determined to move there. 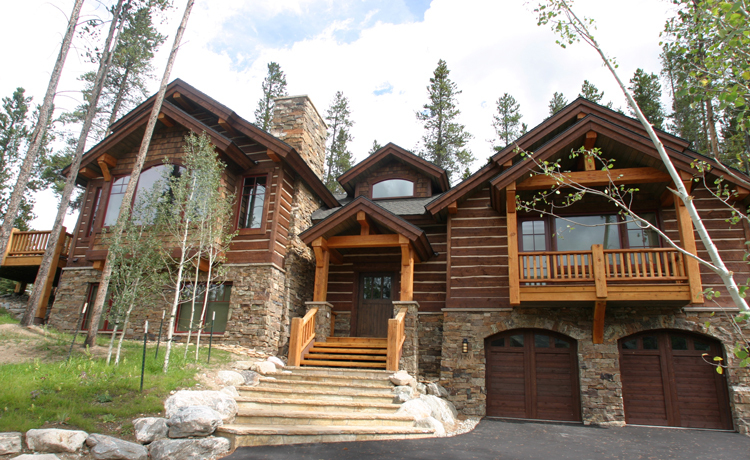 Amazing Home - Wonderful Vacation! 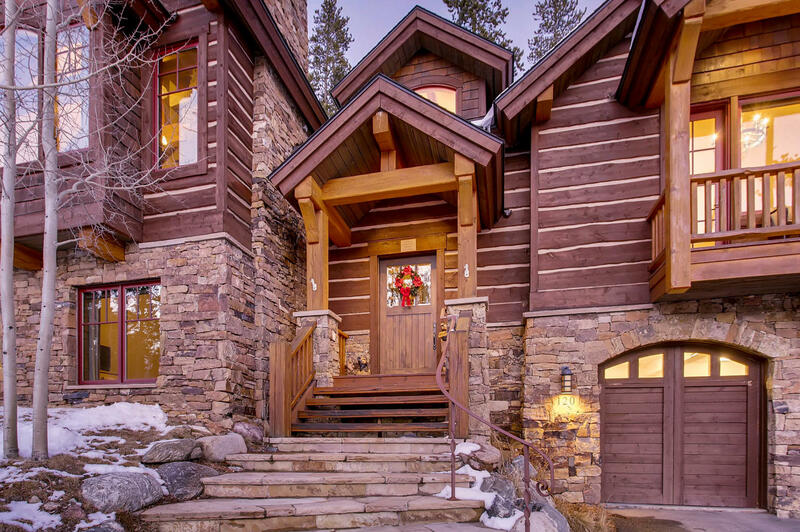 Rustic Timber Lodge was a beautiful and amazing home in a great neighborhood within walking distance to the town of Breckenridge, but still nestled back in the pines enough to feel secluded. Our family vacation was perfect as a result of being able to stay in this beautifully appointed home. Thank you so much! 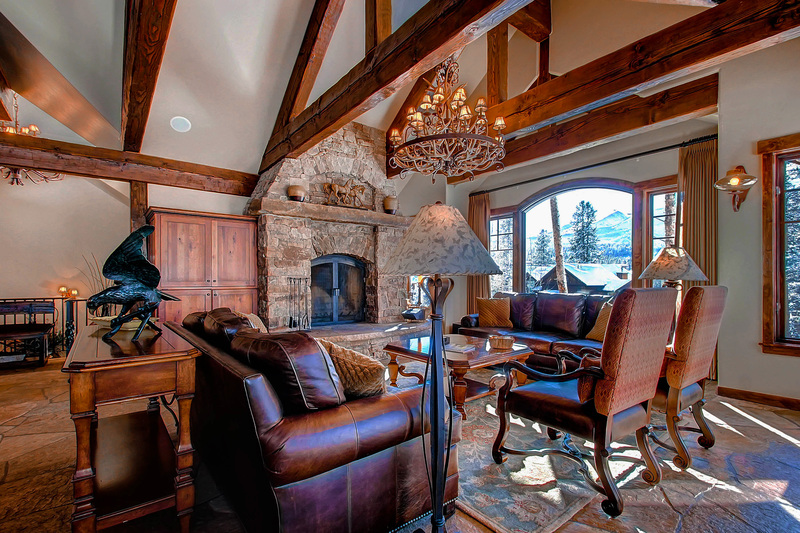 Perfect location, exceptional property, & plenty of room. 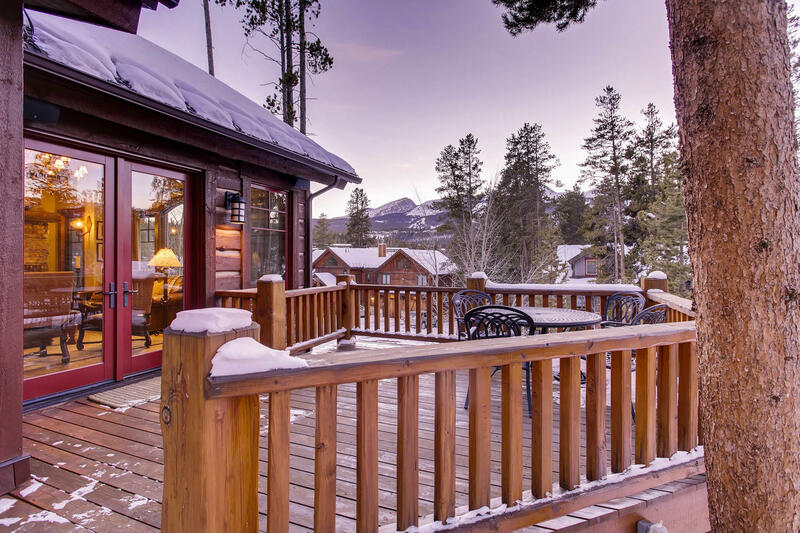 This is our second stay in Rustic Timber Lodge. It's well-appointed and extremely comfortable for a multi-family trip. The view was stunning from the house and walking distance to Main Street. I couldn't ask for a better home to spend our summer, family vacation. I can't wait to come back. We had a wonderful time in a beautiful home. We loved the views from this property and it was close to town. We visited at the end of July and it was a little hot on the first night and we were surprised to learn there wasn't any air conditioning, which is apparently normal for these homes, but we're from Texas and thought everyone had A/C. :) The only thing we really had trouble with was the hot tub... it wasn't hot the first day and then seemed to get too hot after it was fixed. The upstairs master bedroom was really nice and the other bedroom was okay, too, but the bed was a little lumpy. 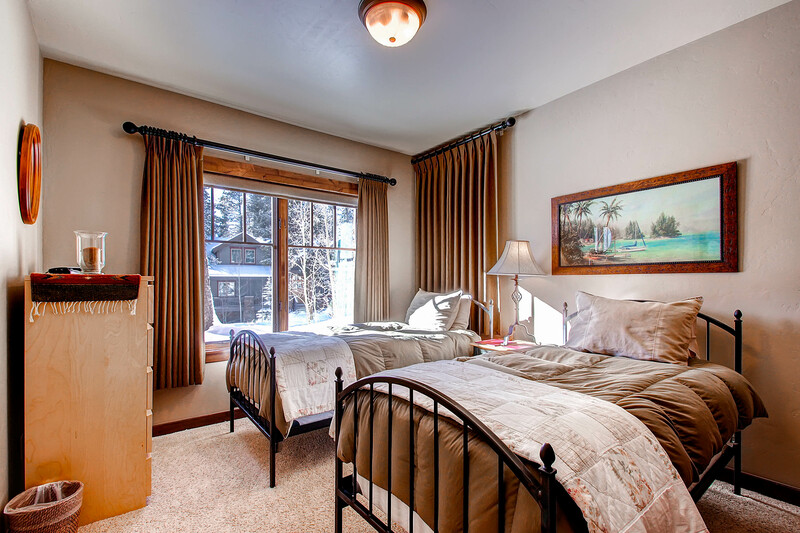 There is a downstairs area with bedrooms that we used for our kids that is nice but the bedrooms are a little cramped. The oven settings have worn off and are difficult to read but other than that we liked the kitchen and it had all the utensils and things that we needed. The outdoor grill worked nicely. All in all, a very nice place to vacation. As expected the house, location, staff, weather etc was superb! house that we picked. The location was fine. We walked to town. Love love loved it!! Escaped the heat from Texas!! Loved the fact that it was so close to a park, dog park and baseball field. The grandkids loved that. 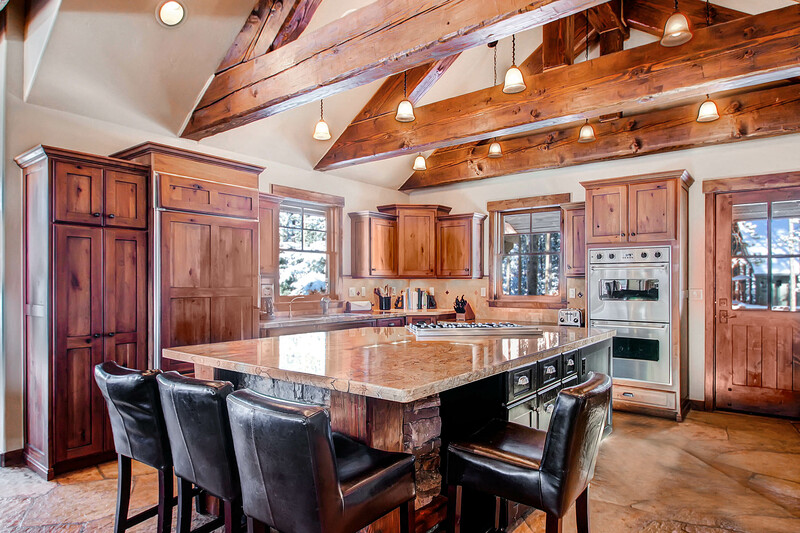 Fabulous kitchen!! This was our third year to stay there and were very satisfied. 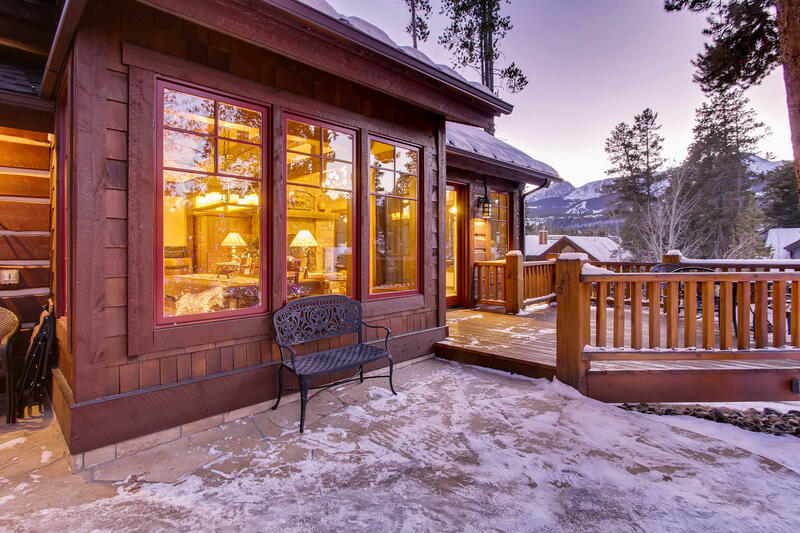 The house was a great place to relax and enjoy the beautiful winter scenery. Rooms were comfy and appiances top of the line! Even the little grandchildren were able to run around in bare feet due to the warm floors! Beautiful neighborhhod. Always a pleasure to stay at a Paragon property. There is nothing new and nothing different from the a past as I continue thank Krista for over a decade of continued good experiences and for her friendship, kindness, and accommodations. All of your staff also warrants kudos for their prompt, thorough, and courteous response when responding to questions and requests. Thanks for everything. A great place for our extended family stay. 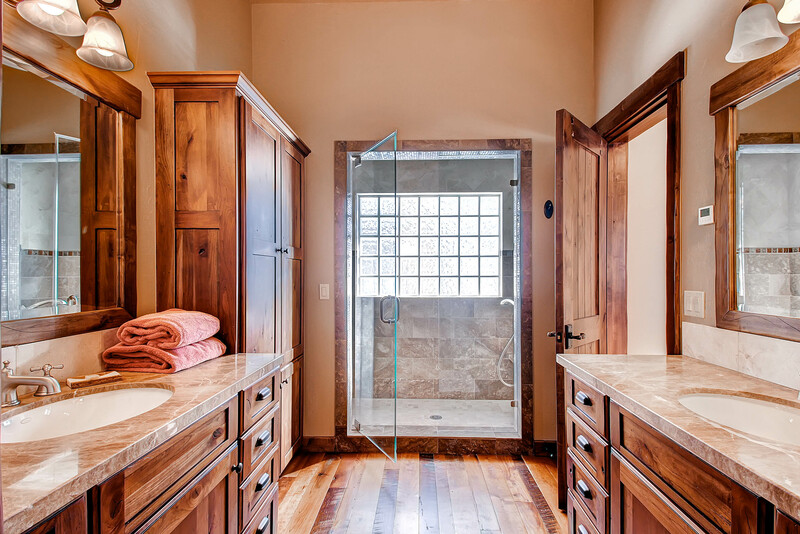 The house enabled our sons/significant others the space for privacy, yet was spectacular for social interaction! 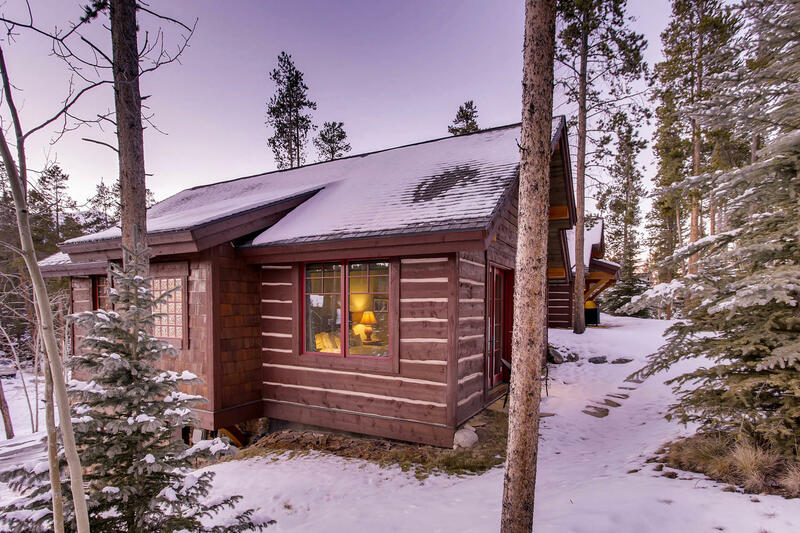 The Rustic Timber Lodge exceeded my family's expectations by far. 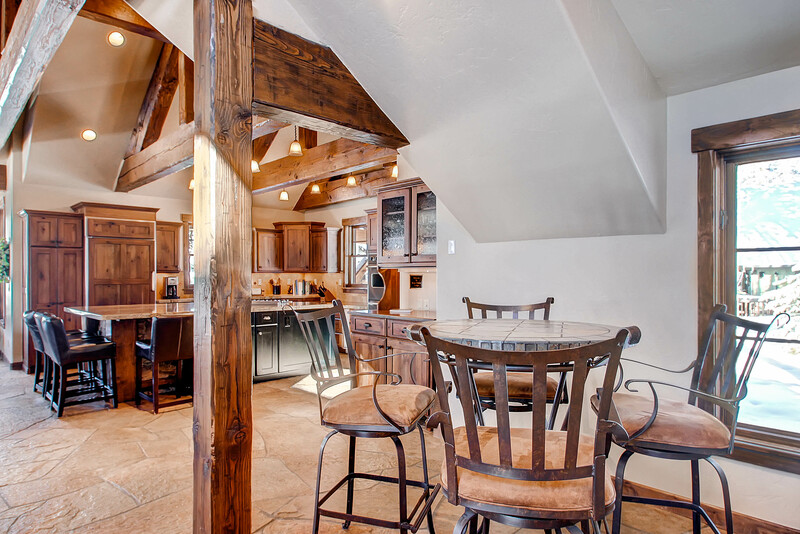 The home was top of the line, with plenty of space for a large group of people to spread out and relax. 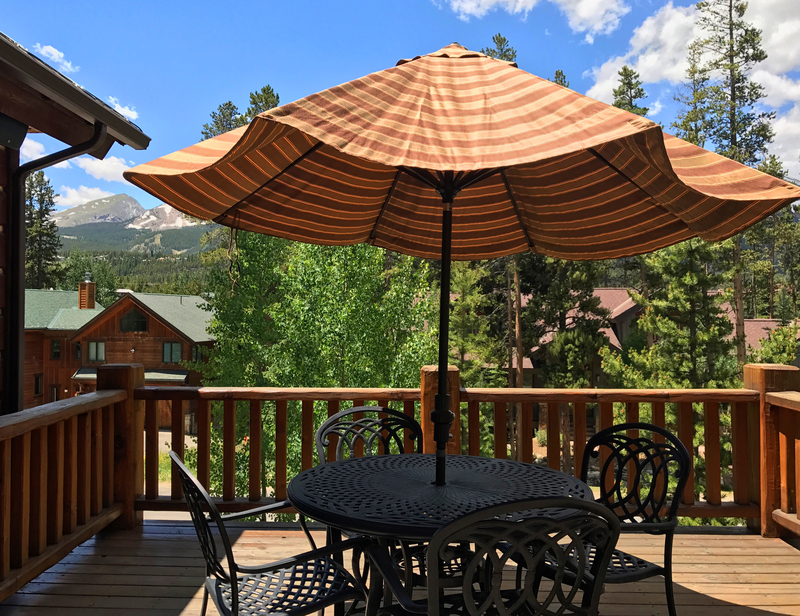 The house is within walking distance from downtown Breckenridge as well as hiking trails. Paragon Lodging was professional and easy to work with. We would definitely stay again! 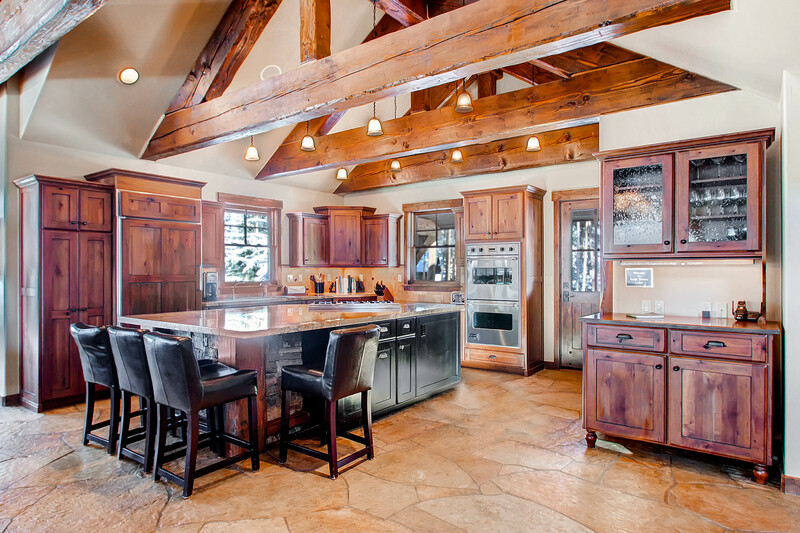 We had the perfect stay at Rustic Timber. It was an above average comfortable home.... well appointed in all aspects of a luxury rental and a perfect location for our family. This is our second stay with Paragon lodging and they are wonderful. They jump through hoops to make their guests feel like they are staying at a luxury five star resort. Fantastic time. Plan to repeat next summer. 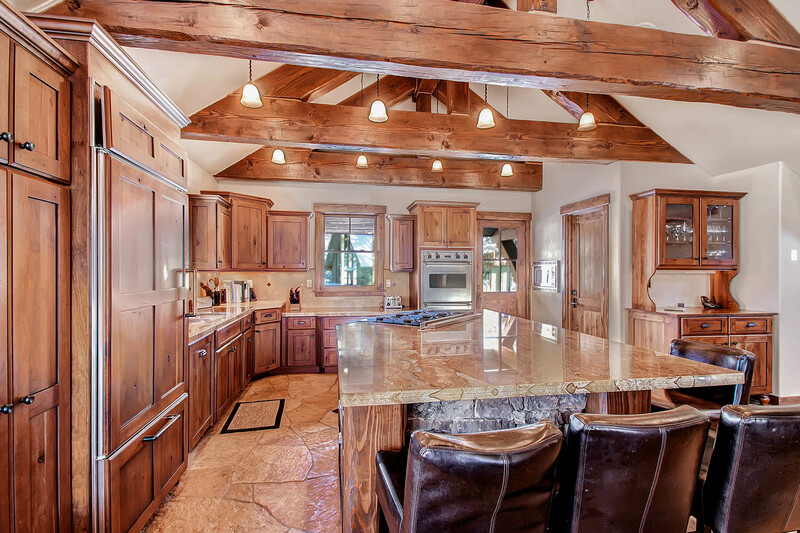 This home is beautiful, built and kept to very high standards. Besides this, the rental agency (Paragon) makes certain the cleaning, equipment and items needed for an extended stay are provided and in place. This was my second time renting with paragon. 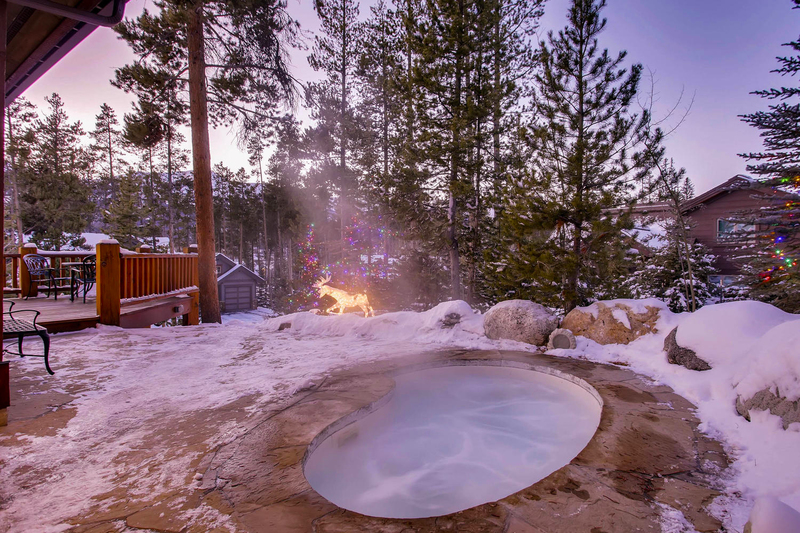 It's the only way to stay in Breckenridge. We will definitely be back next season.